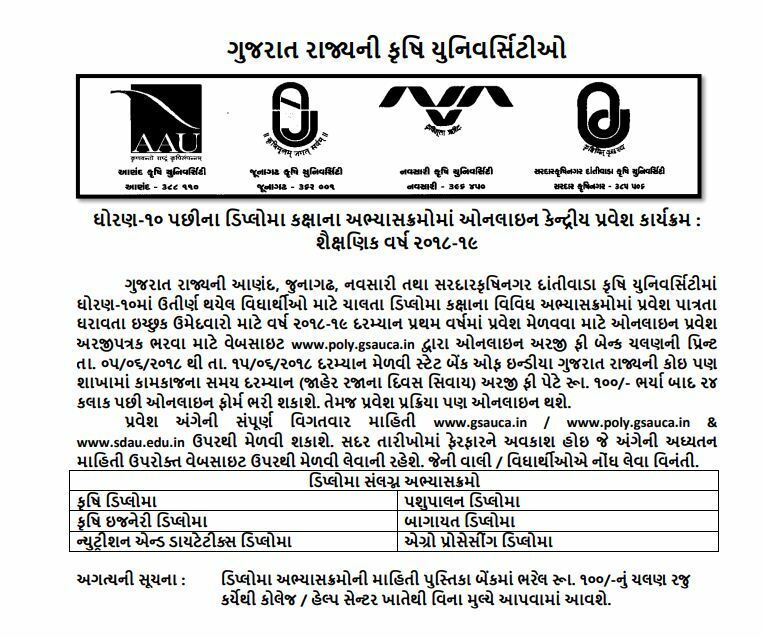 The Gujarat State Agricultural University Common Admission published notification regarding GSAUCA- Admission | Merit List and GSAUCA Merit List | Allotment. Candidates who are interested to apply for Agricultural admission they may check official website gsauca.in. The Gujarat State Agricultural University Common Admission released notification regarding Merit List schedule. Eligible candidates may read all instruction well before attend Merit List Program or Counselling. Applicants may check Merit List on official website or on this page also. Candidates do remember that the Results will not lead you to the joining letter. Candidates will have to wait for the cut off and those who meet the eligibility of cut off will be enlist in the merit list. The cut off will be based on the no. of students appeared, no. of vacancies, reservation and many other things. 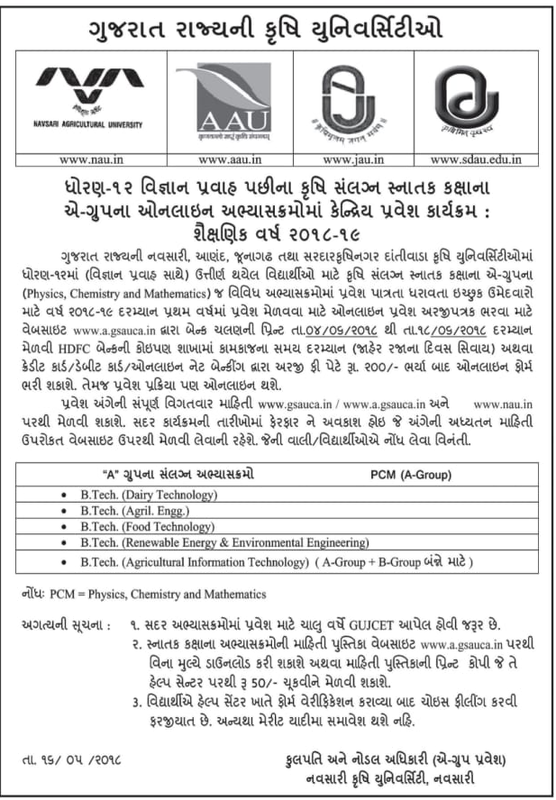 Agricultural University of Gujarat published advertisement for admission in Agricultural University in Gujarat. Students have essential qualification they may apply for Group A, Group B, PG and Poly courses. Students may get all information like how to apply, admission process, general instruction, waiting list, Merit list and other information from official website or here on this page we also upload. The Government of Gujarat has established four Agricultural Universities, Anand Agricultural University, Junagadh Agricultural University, Navsari Agricultural University, and Sardarkrushinagar Dantiwada Agricultural University for imparting education in agriculture. Interested and eligible students may apply online on its official website gsauca.in for GSAUCA Admission. 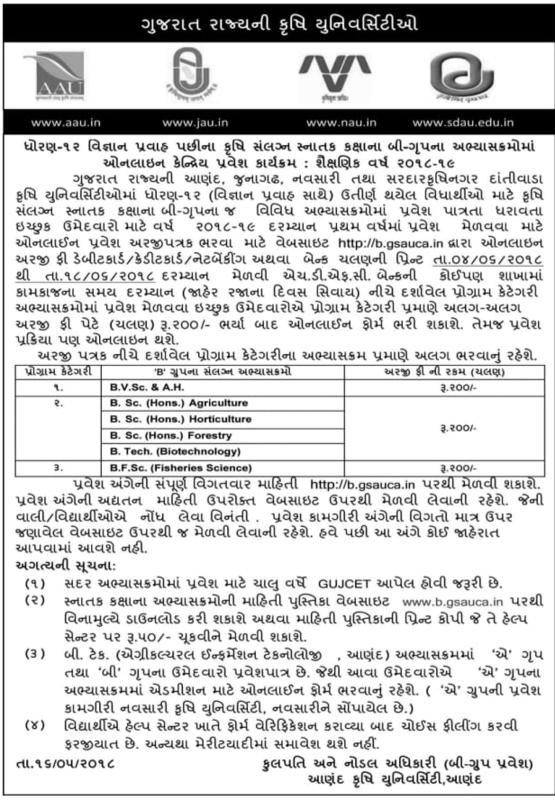 Gujarat State Agricultural University published admission notification for diploma to degree faculty. Students successfully cleared diploma course from agriculture university they may apply for degree course admission. Applicants should have to submit fees in HDFC bank and fill application form and than submit it to polytechnic college. Students may fill application form from 22-06-2018 to 30-06-2018 and submit it on same date. Gujarat Agricultural Universities B Group online admission process will be start soon from June-2018 first week. The details will be available on website www.b.gsauca.in from first week of June, 2018. The information booklet will be available on the website after 17-05-2018. Students are advised that bookmark this page and be touch regular on this page for get more latest updates about this GSAUCA Admission | Merit List.